E-Spy is a revolutionary process monitor that helps optimize the performance of an ESP using state-of the art probe based technology. Recently developed by our engineers and valuated by research institutes here in Finland, our monitors continuously track the particulate measurements downstream from the ESP enabling plants to not only adhere to the strictest emission regulations, but also reduce overall energy costs. With hundreds of installations worldwide, this has become our fastest growing process control device since it both outperforms and is much more cost effective than the alternative optical monitors. With two independent alarm relays, Sintrol’s S301 allows the end user to identify bag leaks and deterioration of filters. Using our electric induction measurement principle, the dust monitor can be easily set up within 30 minutes of installation and gives plant operators quick notification of breaches in the filtration system. 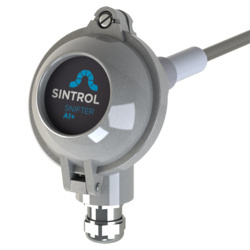 Sintrol dust monitor allows end users to manually adjust alert and alarm level signals to tailor to their end needs. Different probe lengths and coatings give flexibility to meet a variety of applications. With a 4–20 mA analog signal output used for trend monitoring, S303 is installed downstream from a filter, cyclone, dryer or similar devices to monitor filter performance as well as particulate emissions. It has two alarm relays that will engage when particulate levels in the gas stream exceed a preset level. 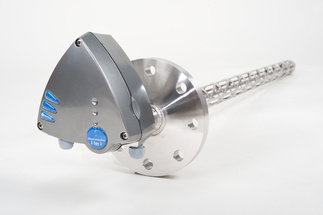 It can also be used for process control in certain applications. S301 and S303 are designed for use in any process fitted with bag, ceramic, cartridge filters or cyclones where indicative (qualitative) monitoring is required. Combining the S303’s features with the added feature of allowing calibration to give readings in mg/m3 format, it can give plant operators the ability to see absolute value measurements of dust concentrations. Installed in emissions stacks or in common ducts of a stack, the S304 can give a continuous dust concentration in the process enabling constant monitoring of the dust levels. Certified by TUV to meet the EN 14181 standard, the S305 dust monitor is used for official emissions applications. The state of the art dust monitor has been used in stack emissions for a number of state owned and private industrial applications around the world. Utilizing our unique electric induction principle, the S305 brings the reliability the government requires and combines it with the convenience plant operators expect from a particulate measurement device. With minimal maintenance required, this is an optimal solution for plant operators needing to measure stack dust emissions for government control. Dust monitor for broken bag detection. Snifter A1+ is a low-cost easy to use filter leak detector. This filter leak detector is a direct replacement for the Snifter A1 device. Snifter A1+ can be used for monitoring outlets in a baghouse enabling fast identification of leaking compartments. Commissioning of the device is easy with the convenient auto setup function which identifies normal dust concentration within ten minutes of installation. The Snifter A1+ dust monitor has two pre-set alarm limits for alarm and alert signals to give plant operators information on leaks and deteriorated filtration performance. Dust monitor for broken bag detection, Snifter A2 is an advanced filter leak detector. 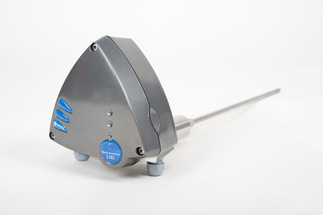 This dust monitor can be used to monitor the operation of a baghouse and alarm the operator when dust levels increase. Snifter A2 supports Sintrol Network connectivity over USB and RS485 interfaces by default. All parameters and settings are user selectable to best suit custom application needs. This device is fully compatible with SintrolDustTool software. Snifter mA+ brings whole new features to the Snifter series! With isolated 4…20 mA output this device is compatible with virtually all automation systems. Snifter mA+ can be used for monitoring filtration performance – on-line – continuously. 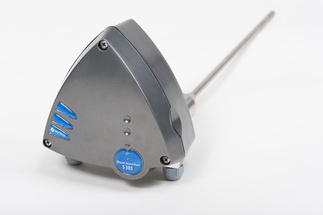 Full compatibility with Sintrol Network and DustTool software with USB and RS485 communication ensures easy custom parameterization and allows for remote triggering of auto setup function.